In cities and metropolitan areas, last mile deliveries are a key factor contributing to local economic vitality, urban life quality and attractiveness of urban communities. However, the freight transport sector is responsible for negative impacts, mainly with regards to congestion, CO2 emissions and air and noise pollution. In order to improve efficiency and reduce adverse impacts, private companies as well as city planners and policy makers have designed initiatives to promote urban logistics innovations—organizational and technological—and introduce new policies. In this chapter, we provide an overview of innovative measures for last mile deliveries. 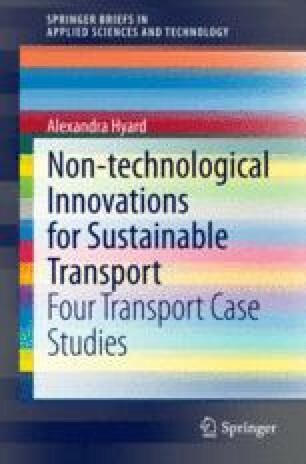 We discuss innovation for delivery vehicles: new concepts, sizes and technologies (including electric and hybrid powered engines). We then detail recent innovations in parcel delivery services for e-commerce, focusing on pickup points and automated lockers. Finally, we present recent initiatives on urban food logistics and the deployment of Food Hubs as urban consolidation centers for perishable products.